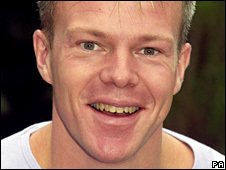 Mark Speight's family said he was in a "fragile state of mind"
The family of missing TV presenter Mark Speight have urged him to get in touch amid fears for his welfare. Mr Speight's fiancee Natasha Collins, 31, was found dead in a bath at their flat in St John's Wood, north London, on 3 January after she had taken drugs. In a statement both families said they were "deeply concerned" for Speight who was in a "fragile state of mind". 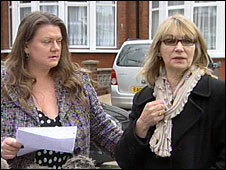 Ms Collins' mother Carmen, 57, stood with family spokeswoman Amanda Stocks outside her home as the appeal was read. The statement said: "Mark has not been seen since 1pm yesterday [Monday] and because of his fragile state of mind both Mark's family and Natasha's family as well as all of his friends are deeply worried. "We notified police because of our concerns and we just want to know he is safe. We would urge Mark, if he hears this appeal, to get in touch." After the statement Mrs Collins urged Mr Speight to "please get in touch with us". The family informed police after he failed to turn up for a meeting with a friend in Covent Garden at 1530 BST. Police said Mr Speight was dropped off at Wood Green station, north London, on Monday morning and was later seen walking towards Chelmsford Square in Kensal Rise at about 1315 BST. After his fiancee's death Mr Speight, who fronted BBC children's show SMart, had been arrested on suspicion of murder and supplying Class A drugs but no charges were brought. In February he announced he was quitting SMart as his "tragic loss" had left him unable to continue. Mr Speight, originally from Wolverhampton, had been living with Mrs Collins in Norfolk Avenue, Enfield, north London, following the death.